Hope you had a great weekend!! I went to OKC with a couple friends and it was so nice to get away for a little while and start some Christmas shopping! I don't share many 'activewear' posts, but I would like to start! I couldn't find this CK sweatshirt online, but I found some similar options, which I have linked above! 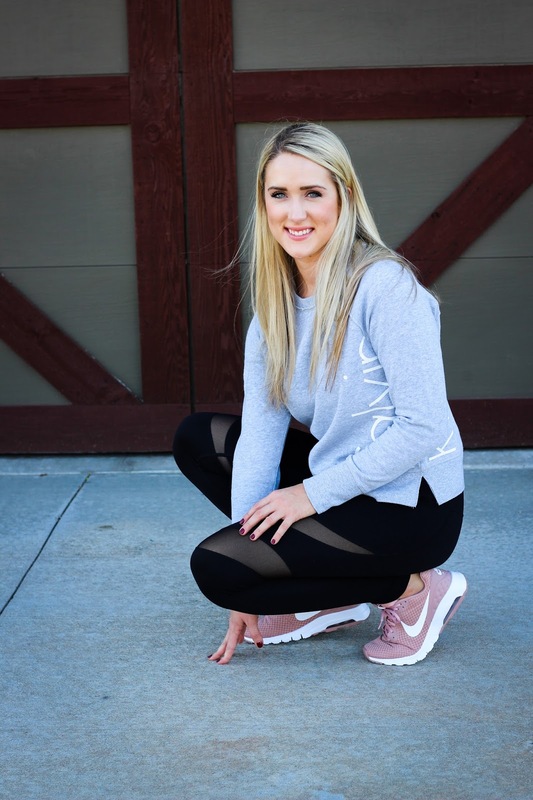 My leggings are kind of old, but I found some similar options for them as well! 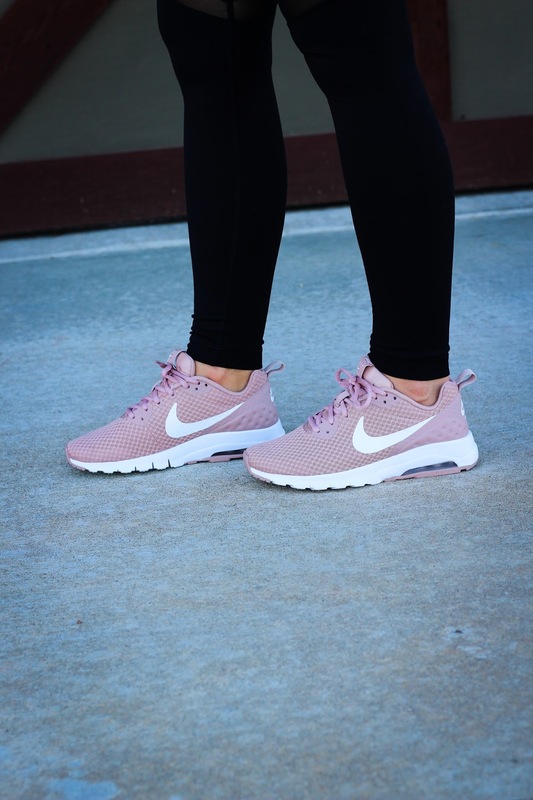 I highly recommend these Nike Air Max shoes! 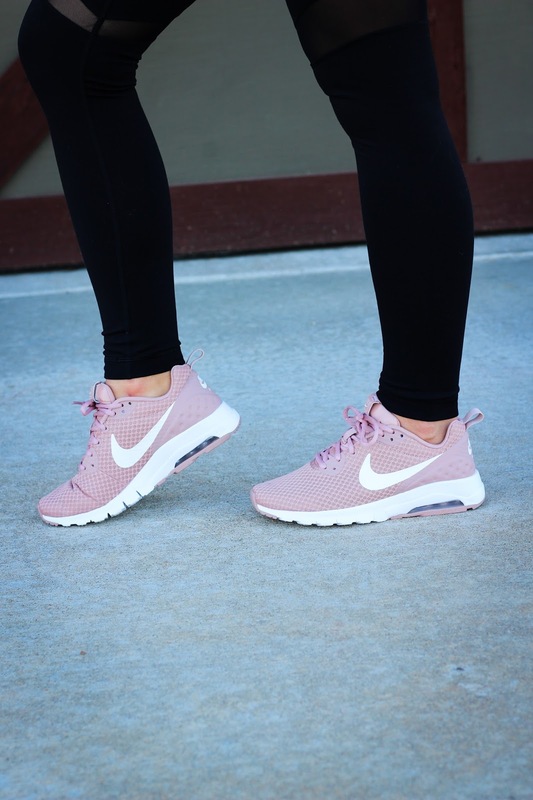 I found them the other day at DSW & are some of the comfiest Nikes I have ever got! I wore them all day Saturday while we were shopping and were amazingly comfy! Also, I am LOVING the mauve color! They come in some other colors, too!